Formally known as the Volkswagen Type 2, the VW Kombi is one of the most iconic vehicles to have rolled out during its era. 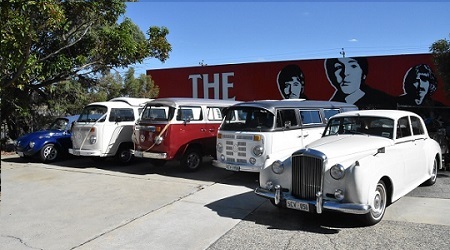 Also known as the Transporter or Microbus elsewhere, as the Bus in the US and the Camper in the UK, these gave rise to modern cargo and passenger vehicles. At first, two models came out on the market. The first was the VW Kombi, which had side windows and middle and rear seats easily removable to open up leg room. The other model got the name Commercial. Later on, the Microbus and Deluxe Microbus joined the fleet. The models had split windshields and a roofline that had a “vee” design, helping reduce drag. These ended up giving the VW Samba the distinctive features it enjoys today. The design would get periodic upgrades over time. Usually, these would be to the engines to improve fuel efficiency and increase power. Apart from the classic VW design, there are other specific models out there. One of the common remodels is a panel van designed for making deliveries. The German kombi remains incredibly popular, serving as a combination of passenger and cargo vehicle. The VW Samba Bus is a van with skylight windows, built during the first generation. Some folks might know it as the Deluxe Microbus. The VW Samba found its niche in groups that wanted to tour the Alps. Apart from factory variants, the T2 Perth has also seen some third-party modifications. Fire engines, hearses, ambulances, and even refrigerated vans are all available conversions from the standard chassis.